According to a 2014 study by Destination Analysts, every $1 spent by the Visit Alexandria on tourism advertising generates $6 in tax revenue for the City of Alexandria. 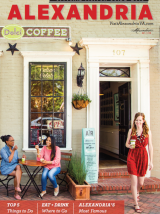 According to the Virginia Tourism Corporation, in 2013, visitors spent $738 million in Alexandria, which resulted in over $24 million in city tax revenue collected. Without tax revenue from visitor spending, each household in Alexandria would see their property taxes increase by an average of $300 per year.